Keep Calm & Snark On : Summer's Here!!! 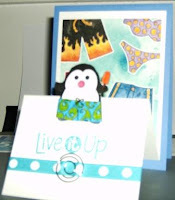 This card features one of our new favourite stamps - Penguin Dude! !